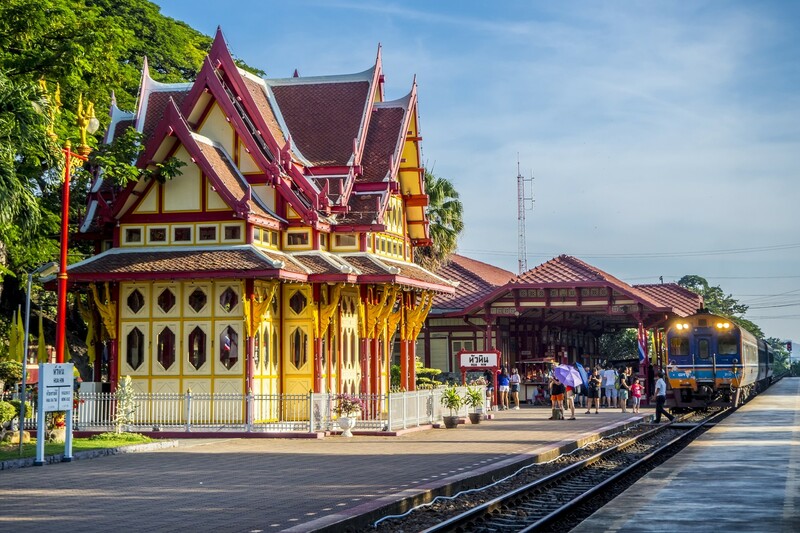 Hua Hin Train Station could deservedly be called one of the town’s main arteries to the past and to the heart of Hua Hin. When the area was first recognized for its exceptional beauty and tranquility, in the late 19th century, Thai aristocracy and nobility began to build lovely seafront mansions in the area, painted white and with an impressive Victorian age aspect. His Majesty King Rama VI also had his lovely Sumer Palace constructed here. However, at that time, there was no road going to the town, as it was still just a fishing village, and the only way to actually get to Hua Hin was by boat. 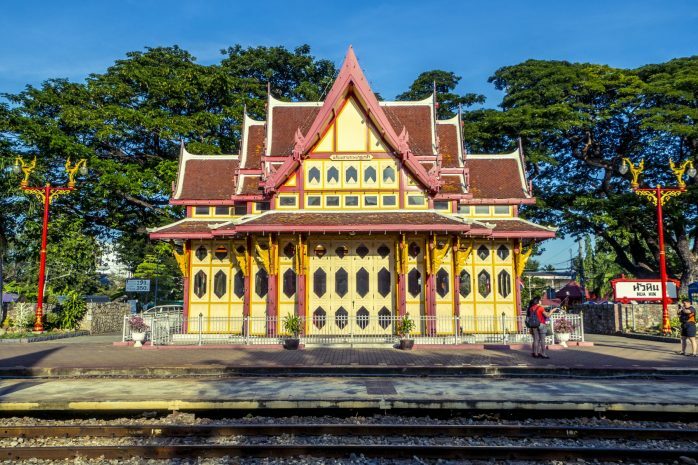 This is how the Hua Hin Train Station became so important, as it was built in the reign of His Majesty King Rama VI. Its Victorian design married with bright Thai colors forms a quaint and fascinating place, for the Hua Hin Train station is in fact how the town was able to become a royal getaway as well as becoming a vacation spot for wealthy expatriates from Europe who might travel the long rail lines up from Penang in Malaysia for an incredicable and serene holiday up in Hua Hin. The rail stretched from Bangkok all the way down to Singapore. 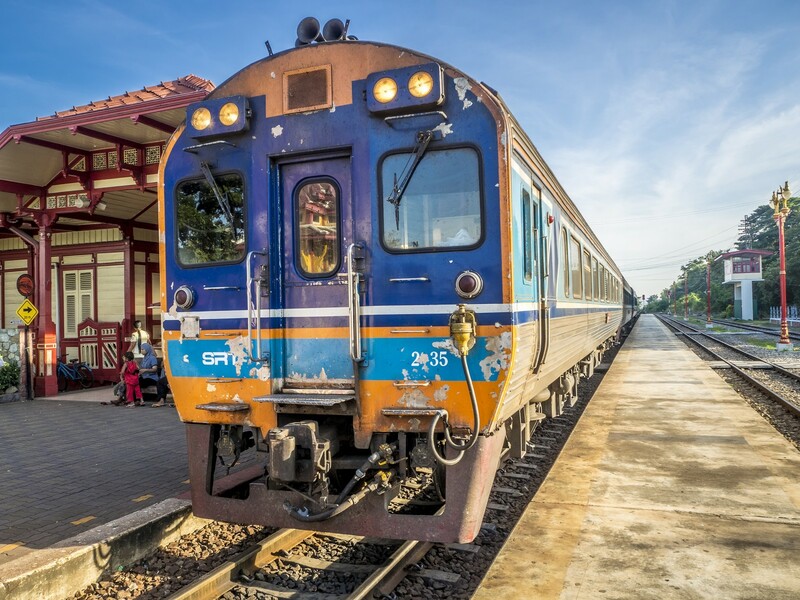 And in Hua Hin, a road form the Hua Hin Train Station right to the beach was built and soon possessed the area’s first luxury hotel.